In New York City, parents who want their children to receive a decent education have to rely on chance. For this sad state of affairs, they can thank the local teachers’ union, the UFT, which consistently places its own special interests above those of New York’s children at every opportunity. 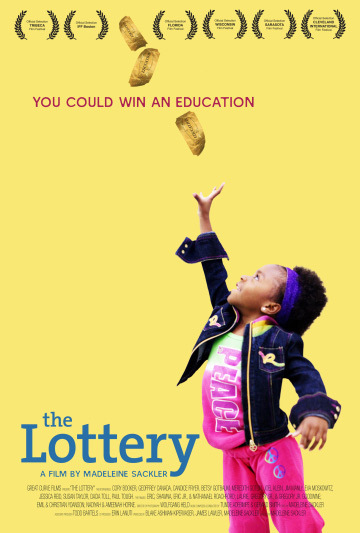 Indeed, one can draw no other conclusion after screening Madeleine Sackler’s documentary The Lottery (trailer here), opening today in the city perhaps most in need of its reformist message: New York. Eva Moskowitz was one of the few relatively moderate Democrats in the New York City Council (and my local council person). After earning union enmity for holding hearings on the teachers’ contract, she was defeated by a vastly less talented candidate for the Manhattan Borough Presidency. Supporting her opponent might have been the union’s biggest mistake. After the election, she moved back up-town, where she opened the Harlem Success Academies, a series of public charter schools that dramatically out-perform the local zip-code schools. Much to the embarrassment of the union and local administrators, over five thousand parents attended the legally mandated lottery to enroll their children in Harlem Success. The Lottery tells their story. There are many differences between the parents featured in Lottery. Some are single parents, some are immigrants, and some are union members themselves. However, they have two things in common: they all want their children to have greater opportunities in life than they did, but they do not think that is possible if their children attend their failing zip code-zoned public school. 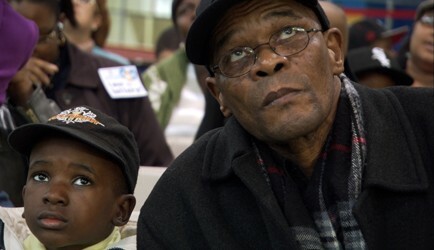 In order for their children to be successful, they will have to be lucky in the Harlem Success lottery. As a charter school, Harlem Success cannot choose its students. There is no skimming cream off the top. By law, if total demand exceeds their total registration, they must hold a lottery for all new incoming students. Of course, that demand is enormous, overflowing the cavernous Harlem Armory Center. While Sackler scrupulously avoids the “V” word (vouchers), she leaves no doubt which side the union is on regarding reform. However, as a clear attempt for bipartisan support in Navy Blue New York, she frequently stresses Obama’s ostensive support for charter schools. How that has manifested in tangible benefits for the charter school movement is conspicuously unaddressed throughout the film. Still, Moskowitz and Newark Mayor Cory Booker (also seen in Lottery) are certainly Democrats and deserve tremendous credit for embracing meaningful educational reform. In fact, watching Moskowitz face the current city council’s education committee is some of the most disgusting low comedy you will ever see on film. While Lottery does not go as far as Bob Bowdon’s The Cartel in advocating reforms for our broken educational system, it is definitely an important companion film. Its profiles of engaged but geographically (and economically) disadvantaged parents are heartbreaking and its depiction of union-inspired demagoguery is truly scandalous. Perhaps even more importantly, it is also an real tribute to Harlem Success’s educators and their students’ academic achievements. A highlight of this year’s recently concluded Tribeca Film Festival, The Lottery is a worthy film that deserves a wide audience. It opens today (6/11) in New York at the Big Cinemas Manhattan.